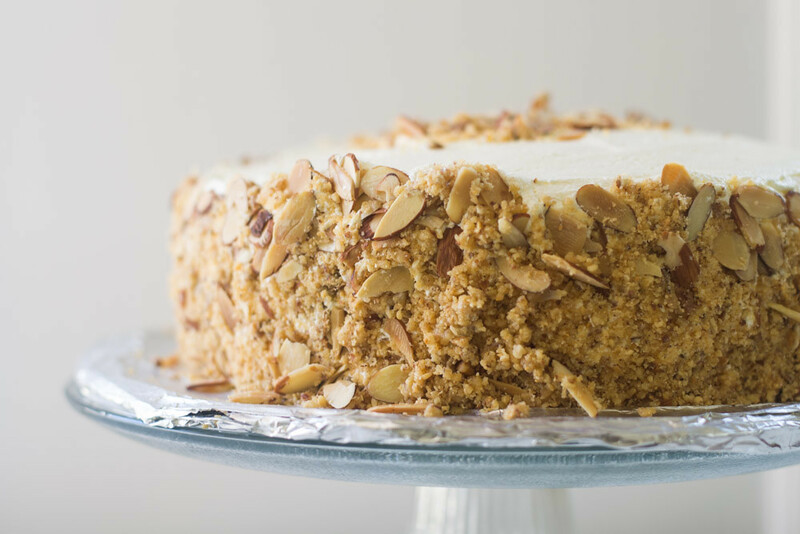 Thank you Huffington Post for declaring the Burnt Almond Torte Cake “The best cake America has made”. And it’s so true! I first had a taste of almond torte at my friends wedding last year in Pittsburgh. For weeks she was raving about how amazing almond torte is..how decadent and full of almond flavor it was, how moist the cake is and light the frosting was. Weeks before the wedding we were both so excited about the cake, we had to make a pre-wedding stop for an almond torte cupcake. You know, just to make sure all the flavors were on point. A Pittsburgh classic, this cake hits all the right spots. And a huge thanks to my wonderful college friend Roy who found the recipe from an old newspaper article and sent it to me. Admittedly, I am not much of a baker. In fact, I was going to return my cake turn table last year because I thought I would never use it. And I am so glad I still have it. I can officially count off 3 double layered cakes off my belt. I think that pays off that $20 turntable I was debating for an hour in the store… don’t you? Oh, and don’t laugh at my foil lined cake circle. We cut that out out of leftover cardboard and wrapped it in foil..because, let’s be honest; this non-baker isn’t going back to the cake store to buy cake circles. It’s all about improvisation. 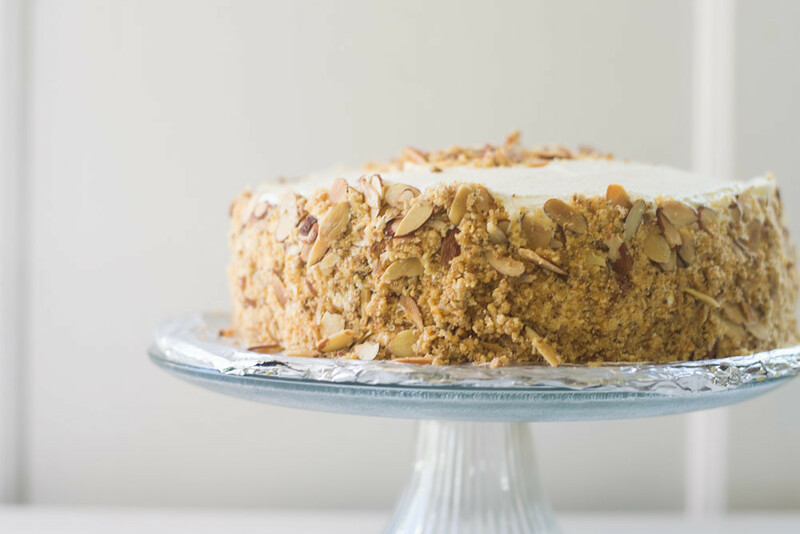 This burnt almond torte has gorgeous elements to it. The cake itself is moist yet not dense and is lightly sweet. Then there is the custard cream that goes in between the layers. I made the custard cream a day before and allowed it to thicken in the fridge. The instructions say to then fold it in whipped cream, which tasted amazing but made the custard a runnier consistency. Next time I make this, I will not add whipped cream, or allow that to thicken overnight as well. For the frosting, I improvised and made a glossy Italian meringue buttercream which was absolutely amazing! The meringue is made from simple syrup and egg whites and is the lightest, smoothest frosting you will ever have! I don’t think I will ever make a standard buttercream after having Italian meringue. Then the grand finale of the cake is the absolute best part…the almond brittle! Perfectly sticky, chewy and sweet and generously thrown all over the cake! A few tips: Make the cake, custard and brittle ahead of time. Everything can sit in the fridge for a day or so and the brittle can last for a while afterwards. First make the cake. In a large bowl, sift together the flour, baking powder and baking soda and salt. Set aside. With your mixer, cream together the butter and sugar until well combined and creamy. On low speed, add the eggs, one at a time until mixed in evenly. Then alternate adding the flour mixture and the buttermilk in 3 batches. Then add the vanilla and almond extracts and beat just until mixed. Line 2-9 inch round cake pans with parchment paper and spray with cooking spray or grease with butter (I use the butter wrapper to grease the pans). Divide batter between both pans and lightly tap down to smooth batter. Bake cake at 350 degrees F for 25-30 minutes or until tested with a toothpick that comes out clean. When done, allow to cool for at least 20 minutes. In a medium pot, add milk and heat until just simmering and hot to the touch. In another bowl, add egg yolks, sugar and cornstarch and whisk together until very smooth and light yellow. Then, slowly add in the hot milk to the egg mixture in a thin steady stream, while constantly whisking. You want to do this very slowly so the hot milk doesn't cook the eggs. When all mixed, add it back to the pot and cook on medium-low heat until the cream is thick enough to coat the back of a spoon. Once it has thickened, turn off the heat and add butter, vanilla and almond extract. Strain cream through a sieve over a bowl to get out any lumps. Chill in a bowl and wrap in plastic wrap, with the plastic touching the cream so a skin doesn't form Allow to chill from 3 hours to overnight until completely cold. Then whip heavy cream until soft peaks form. Add confectioners sugar and continue whipping until stiff peaks. Fold custard into whip cream and chill until ready to layer. (*Note: whipped cream is optional, you can make the custard and use that as your middle layer). In a medium pot, combine the sugar, honey and water and bring to a boil over medium heat. Boil for about 10 minutes without stirring, and until mixture turns a deep amber color, about 10 minutes. You will see it bubble but make sure it is turning a deep amber/brown. When ready, turn off heat and add toasted almonds, butter and baking soda Mix together with a wooden spoon until bubbles subside. Next, pour mixture onto a parchment lined baking sheet and spread out to cool. It is VERY hot so be careful As it cools it will be very sticky. Allow to cool for at least 20 minutes. Once cool, break up pieces and place in food processor. Process almond brittle until it is fine crumbs. When done, set aside or store in Tupperware. In a small pot, add sugar and water. Use a candy thermometer to secure in pot and boil mixture until it is at the "soft peak" stage or at about 250 degrees. As sugar cooks, make the meringue in a stand mixer. Add egg whites and beat on low to break them up. Then add cream of tartar and continue beating, gradually increasing the speed to high. Continue to beat on high until soft peaks form. Next, add sugar and extracts while mixer is going on high and continue to beat for 1-2 minutes. When sugar syrup is ready, slowly add in the mixture while the egg whites are going at high speed. Slowly stream in the sugar syrup making sure no sugar hits the mixer or bowl. At this point, the bowl will be very warm so continue beating on high until it is cool to the touch, about 10 minutes. Once cool, continue beating the egg whites and slowly add in the softened butter, about 1 tablespoon at a time. The buttercream will begin to thicken. Once all the butter is in, beat for another 30 seconds and turn off. Place 1 cake layer on bottom of cake stand. Then spread custard and top with other cake layer. Spread a thin layer of meringue all over cake, making a "crumb coat". Chill this in the fridge for at least 30 minutes. Then spread remaining frosting all over cake smoothing out the sides into desired look. Cover sides of cake (and top, if you'd like) with almond brittle and reserved toasted almonds. Chill before serving. Almond Brittle makes more than needed, save the rest for ice cream topping. Looks like you’re a baker to me! I need to try this cake one day. Looks amazing! Thank you so much Francesca!! I love almonds too! Whaddya mean you aren’t a baker? That cake looks PERFECT! There are 2 rival bakeries in my neck of the woods (Nor Cal) who are famous for their burnt almond cake but – of course! – never give out any hints of recipes. Could you share the custard buttercream that came with the recipe? I’m looking forward to trying this out for my husband’s birthday, so thank you! Hi Samantha! This was a great recipe for the cake, it is divine! However the custard and frosting recipes were slightly too involved for my college kitchen! Instead I did a whipped cream filling and added almond extract and a simple vanilla buttercream frosting but added almond extract to that as well! Thank you for the inspiration! I LOVE your alteration to the filling!! Thanks for sharing!! 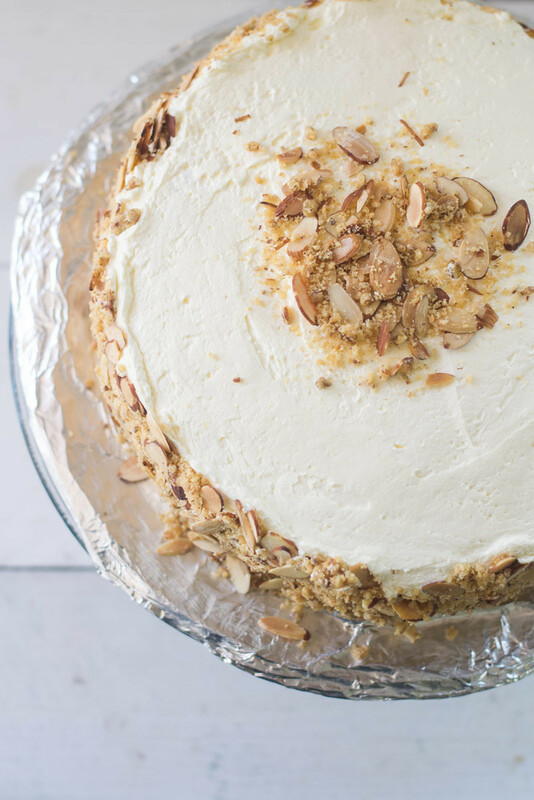 I picked this burnt almond torte recipe over many recipes searched and made it for a family gathering. Un benounced to me my daughter purchased one from a up scale bakery in the area and brought it to dinner. It was decided by all that this cake was by far the better tasting of the two cakes. I wouldn’t change a thing about this recipe. The only problem I had was the addictiveness it produces. Will definitely use this recipe again. Thanks for sharing it. Bev, I agree with you on the addictiveness! When I first had it at my friends wedding, I was floored! Labor intensive but sooo worth it!! Thank you for commenting and so happy you made it! Lol I am living in that “neck of the woods” my daughter has a cake ordered for a birthday $30 for a 9” round at one of the 2 rivals for Burnt Almond Cake in Silicone Valley. But I’m ready for the Challenge a Bake off! I am very interested in the “ Italian Buttercream” there are many variations recipes but this one feels right . Wish me well thanks for this recipe I will be using in part. Oh I hope you do the “bake off” and I would LOVE to hear the reviews! Good luck and happy baking…this cake is truly phenomenal. Work, but worth it! I’ve never had the Pittsburgh original, but I just made this recipe and I couldn’t taste much other than almond extract. Personally that’s not my favorite flavor, so if I were to do it over I’d probably add some more real almond and cut back on the extract. Maybe replace some of the flour with ground toasted almonds and infuse the milk for the pasty cream with almonds, or something like that. 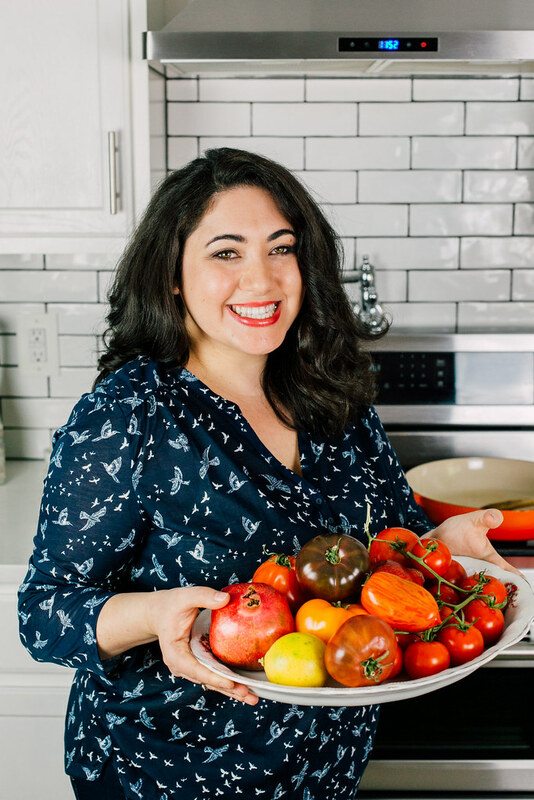 Thanks for sharing the recipe — it was fun to put it all together. I like your suggestions and think it would turn out awesome! I actually love almond anything so I enjoyed it, but yes, some may find almond extract a bit overpowering if it’s not their favorite. Love. Simply, passionately in love with this recipe! I grew up in Pittsburgh and during my college days (Hi, CMU!!!) a trip to Prantl’s Bakery for a Burnt Almond Torte was life sustaining! I don’t get home to the ‘Burgh very often, but I will for sure be making this food of the Gods in my Florida kitchen! I won’t even mind the #LBs that I will be gaining. Thank you for posting this! !